They were such a hit! I never got around to making their little woodland friends. Boo. But they live happily ever after with no icing stains and will soon be Christmas ornaments! Thanks again! 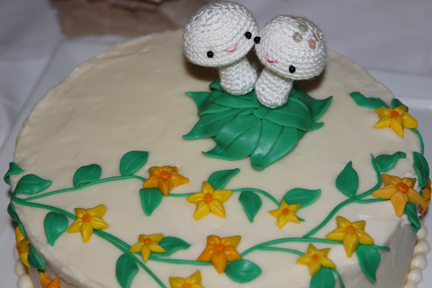 thank you so much for letting me post the picture of your cake! it looks fantastic! 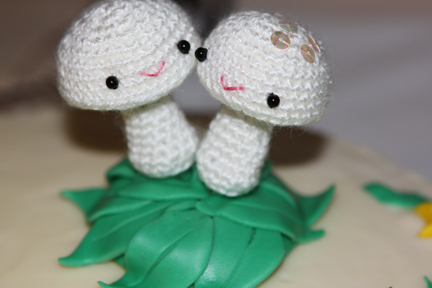 :D i’m happy that the snow mushrooms got to be a part of your wedding. best wishes!